As the new health reform act goes fully into effect, participation by companies of all sizes is necessary for successful implementation. A new study by GfK and Research Now shows employers in right-leaning Red states are much more likely to opt for change in their benefits plans if the so-called Obamacare program is fully implemented than those in left-leading Blue states and swing states. Red state employers are also more likely to believe that the healthcare act will increase company costs. 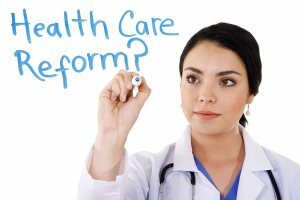 The study, entitled “How American Businesses Are Preparing for the Implementation of Healthcare Reform,” found that 59 percent of benefits managers in Red states think that health costs will grow at an increasing rate than if the reform law were not in place. Comparatively, 46 percent and 58 percent of benefits managers feel this way in Blue states and swing states, respectively. Almost 40 percent of Red state benefits managers foresee an increase in the use of a defined contribution model for providing benefits, compared with 22 percent in Blue states and 24 percent in swing states. Employers in Red states also expressed more pessimism about compliance with the law. Over half of Red state benefits managers think that it is very likely to extremely likely that a large proportion of uninsured citizens will choose to pay the fine rather than become insured. This figure sits at 37 percent of benefits managers in Blue states and 49 percent in swing states.